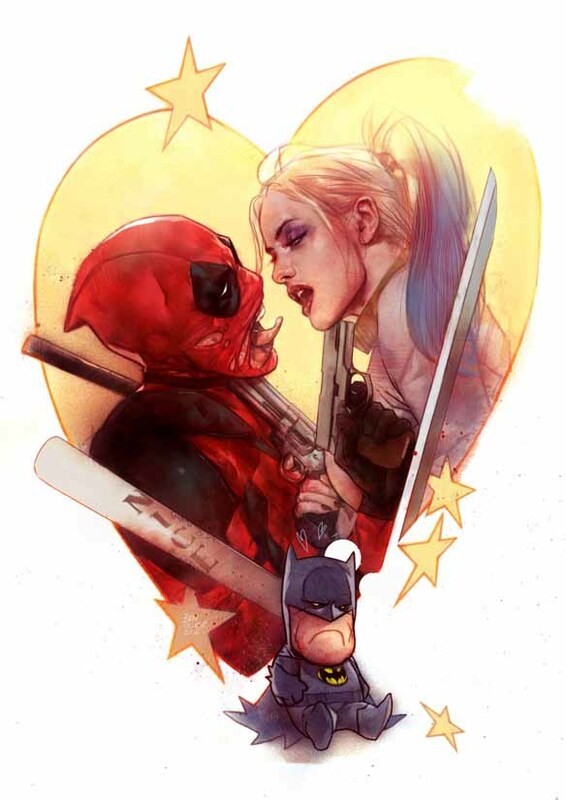 The Clown Princess of Crime has found a new Puddin’ on the Deadpool Harley Quinn Nice Art Print. 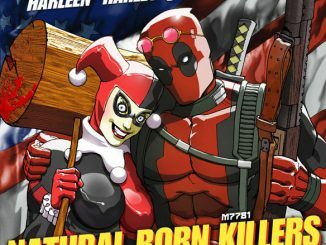 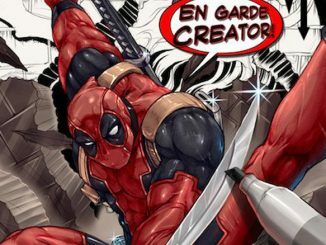 The Marvel and DC Comics universes collide with a love connection that will seriously increase the body count everywhere as Deadpool and Harley Quinn close in to kiss each other… or maybe kill each other, considering the placement of the firearms. 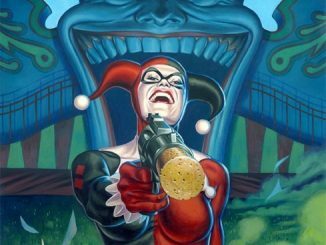 Can we agree that the idea of Deadpool getting ready to slip a little tongue to Harley is probably one of the most stomach-turning images that artist Ben Oliver could create? 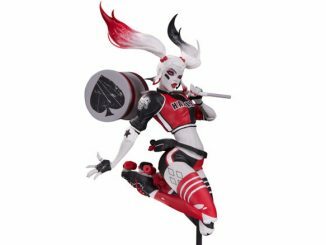 Also, isn’t the little stuffed Batman the cutest, grumpiest thing you’ve ever seen? 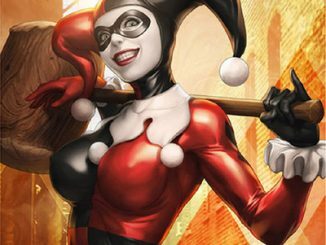 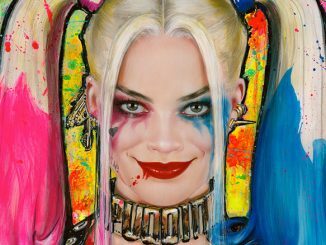 The Deadpool Harley Quinn Nice Art Print is available for $26.95 at nicecon.co.uk.